Tushiyah is among the top industries in the country involved in the specialised field of growing small companies to ensure they are supply-ready and then play an active role in brining the businesses together. Without coaching and mentoring many business linkage simply would not materialise. Training is a subset of a basket of our services with one primary goal in mind: making sure the entrepreneur has the best possible chance to run a company successful. 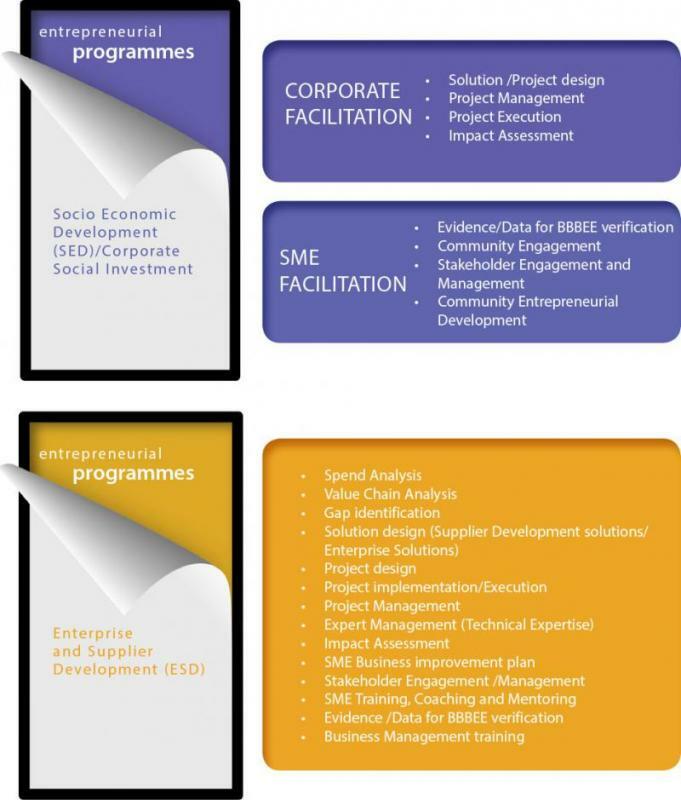 But our training solutions form part of a far greater solution; it aims to incorporate the SME into a sustainable value chain; to mentor and monitor every step of the way, thus increasing the chance of long-term success significantly. Our training is not done in isolation. It is shaped by our endeavours to ensure that our expert advice increases by a substantial margin, access to financial and access to markets. This is why we are able to introduce supply-ready businesses to the procurement chains in large corporate organisations as well as to government institutions. DETAILS This course takes the Entrepreneur through a journey of how to generate a business idea, research it and implement it.